After a series of individual executive presentations to selected stakeholders in Cyprus, CASPAR02 project concluded its activities on December 15 2018. CASPAR02 developed the fundamentals needed for an ANN-powered product, which will automate content analytics in a number of different domains. Each pre-trained domain-specific network will form a “digital brain”, which, when combined, will form ANNITA (ANN for Image and Text Analytics) the platform’s core technology. Why do you need Caspar 02? Cluster/tag of images. Being based on NN technology, CASPAR 02 will be able to process/cluster/tag images as well as text, effectively covering mixed content or combining information streams form different sources. Flexibility and availability. CASPAR 02 will be available as a hosted service and as an on-perm solution. Semantic data processing. The platform will offer further analysis of the structured data using clustering, proximity and similarity methods. Free of charge. We will offer the processing of smaller data sets for free. Quick and efficient processing of content: CASPAR 02 aims to change the market value chain, bringing the tools of analysis closer to the final user. The CASPAR solution will enable European SMEs dealing with huge amounts of unstructured content to index and analyze their data sets in competitive prices, while at the same time heavy, content-intensive users, such as publishers, information agencies, image banks, media monitoring and analytics providers will be charged based on volumes for real-time data analytics delivered through an API. Together with selling the analytical power of the pre-trained artificial "brains", the CASPAR partner will also offer custom-trained ANNs and plus standalone enterprise software versions. GeoImaging joins mid-term review of our Marie Skłodowska-Curie RISE project VOLTA. On Thursday 25th of January, VOLTA project had its mid-term review, being in M20 out of 48 months, by the project officer in Trento, Italy. 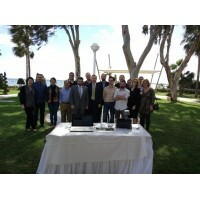 The meeting was hosted by the local organizer and coordinator of the project, the FONDAZIONE BRUNO KESSLER (FBK). After a brief introduction, each partner explicitly described the progress per Work Package and the secondees presented their exchange experience. 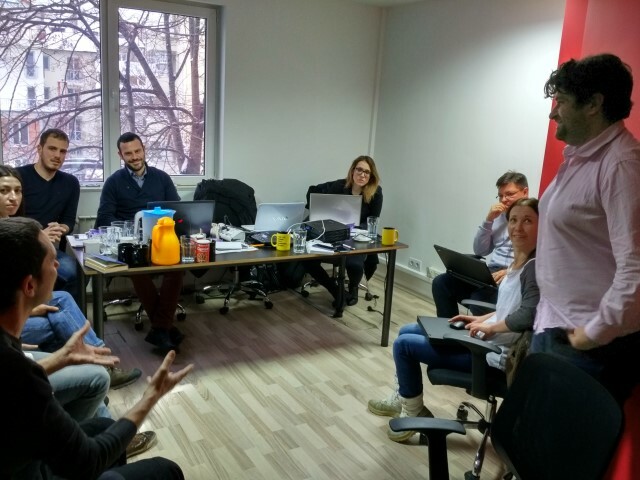 The project officer was glad to see our progress, pointed out that the project is in very good situation, having all the potentials to become a success story and outlined some issues that need to be taken care of. Our project ARinfuse, infusing skills in augmented reality for geographical information management in the utility sector, kicked off with its first transnational gathering in Nicosia Cyprus on the 17th of December 2018. The meeting was hosted by GeoImaging Ltd and it was attended by Ms Stella Leonidou of the National Agency of ERASUMS+ plus in Cyprus, the Foundation for the Management of European Lifelong Learning Programmes. During the meeting, all project objectives were carefully analyzed and the plan for the coming period was drafted. The consortium for the coming period will focus mainly on capturing requirements by our partners-users of the project, as well as design a demonstration kit and material that will be easy to use, fun to operate and provide state of the art training in augmented reality for utilities management. CASPAR02 EUREKA EUROSTARS project to enter exploitation phase. Entering its final development phase, CASPAR02 consortium is happy to announce that all development aspects have been implemented successfully. Having finilised the backend processing for the text and image modules, CASPAR02 will launch its service to interested customers through a smart, one stop shop interphase. Specifically for the market in Cyprus, Geoimaging ltd, partner of the project, has designed for the entire month of December, executive presentations to selected stakeholders and customers in order to present the benefits and potential of the CASPAR platform. A detailed press release for the demonstration of the platform will follow soon. The Cypriot partnership led by GeoImaging Ltd, attended the second consortium meeting of the EUREKA EUROSTARS project, MuSe-3D that took place the 14th and 15th of November 2018 within the framework of the international workshop MoLaS Technology Workshop in Freiburg, Germany. The Copernicus Masters 2018 – Europe’s leading innovation competition for Earth observation (EO) – is searching for such outstanding ideas, applications, and business concepts from future-oriented SMEs, startups, universities and individuals in the fields of business, research, and higher education. Our company, GeoImaging Ltd, is proud to be the regional associate of the Copernicus Masters in Cyprus. On 19.01.2017 at the premises of the coordinating party, A Data Pro, GeoImaging Ltd attended the kick-off project meeting for the start of the project. The partners agreed that the next project meeting will be held in Nicosia, Cyprus in the first half of March 2017. The 6th project meeting of our project was held on 28 and 29 of March 2018 in Nicosia where our company hosted our 3 colleagues of the Bulgarian coordinator of the project ADATA pro. During the meeting, a thorough analysis of the project’s progress was made, underliying the importance of the commercialization stage and means the consortium will use to better promote the project. Following the delivery of the interim progress & financial report for the first 12 months of the project at the national funding authority in Cyprus, the Research Promotion Foundation (RPF), an on-site technical review took place at our company’s premises on 08/03/2018. 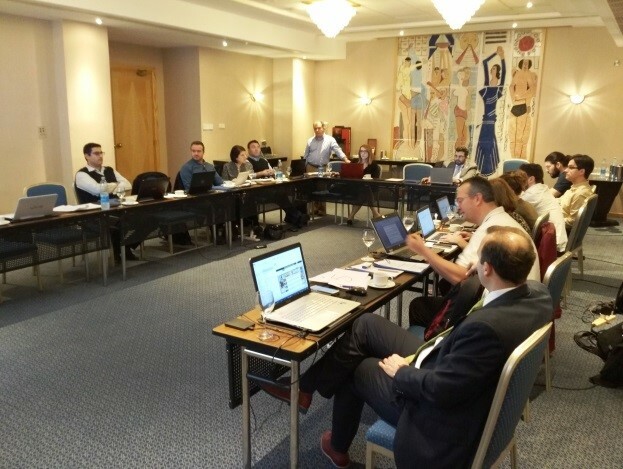 During the review, a holistic presentation of the project’s results and progress was provided to the EUREKA EUROSTARS Cypriot National Project Coordinator followed by a series of technical and market related questions on the optimum way to implement the project. 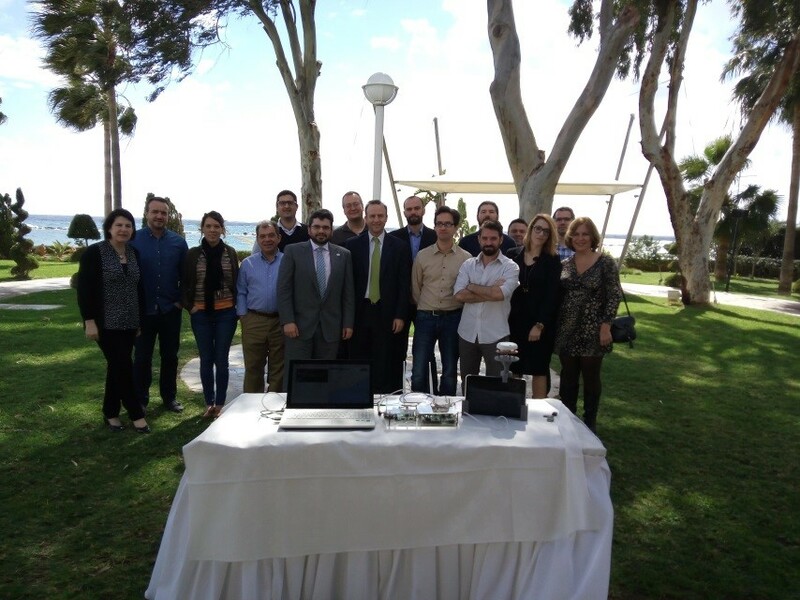 The MaRITeC-X kick-off meeting was held on the 5th of October 2017 at the House of Arts and Literature, in Larnaka, Cyprus. All partner organizations from Cyprus, UK and Ireland attended the event which was welcomed warmly by Municipality of Larnaka officials. The kick-off meeting took place back to back with ground-breaking initiatives shaping the future of marine and maritime science, innovation and industry landscape in Cyprus and was celebrated among local and international stakeholders. During the meeting, hosted by Larnaka Municipality, partners discussed all essential steps towards submitting a successful business plan for the Teaming Phase 2 aligned to the overall Smart Specialization Strategy for Cyprus (S3Cy) and the European priorities on specific pillars with competitive advantages to the Cypriot economy. 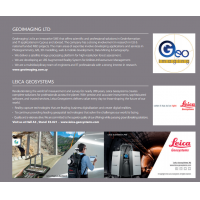 GeoImaging Ltd, being a founding members of MaRITeC-X will be actively involved all aspects of the project and primarily into feeding the geospatial dimension into the research vision of the cetre as well as disseminating results to relevant stakeholders. GeoImaging Ltd, partner of the ATMAPS project, participated in the “Researcher’s Night” event held at the FILOXENIA International Conference Centre in Nicosia on the 30th of September 2016. 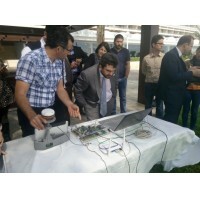 From 17:00 until 24:00, students and adults were informed on the project’s objectives and got in touch with audio tactile technologies being implemented at the moment within ATMAPS project. Navigating on maps of Cyprus and France using the IVEO device, visitors had the opportunity to interact lively with audio tactile material and discover the possibilities of assistive technologies for blind and visually impaired individuals. The “Researcher’s Night” was an event organized by the Research Promotion Foundation (RPF) in collaboration with academic and research institutions as well as other organizations in Cyprus. The event is an initiative of the European Commission and took place simultaneously in almost all European countries. ATMAPS & LARA projects at the “Researcher’s Night” event in Nicosia Cyprus. 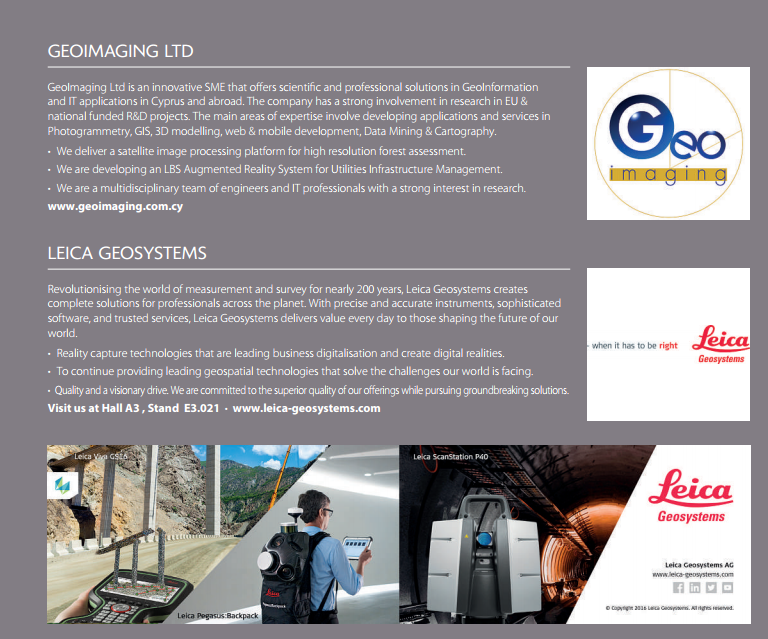 GeoImaging Ltd will be part of the “Researcher’s Night” event that will be held at the FILOXENIA International Conference Centre in Nicosia on the 30th of September 2016.Interactive demonstrators of the LLP - ATMAPS & H2020 – LARA, two of the most important projects of the company will be presented at the dedicated exposition area for GeoImaging, From 17:00 until 24:00 visitors can get in touch with state of the art technologies in Audio tactile maps creation and Augmented reality developed within ATMAPS & LARA projects . Meet us at the “Researcher’s Night” event and share our passion for research and innovation. The “Researcher’s Night” is an event organized by the Research Promotion Foundation (RPF) in collaboration with academic and research institutions as well as other organisations in Cyprus. The event is an initiative of the European Commission and takes place simultaneously in almost all European countries. Our research project's “RESPONSIBILITY - Global Model and Observatory for International Responsible Research and Innovation Coordination” publishable summary has been approved by the European Commission and it is the basis for the "Result in Brief" written by CORDIS science editors. Results in Brief will be published in six languages to support the dissemination and exploitation of EU research results. More than 70 participants attended the ISPRS special session organized by the European GNSS Agency (GSA), the European Environmental Agency (EEA) and the H2020 project LARA, that took place Wednesday 13th of July 2016 within the framework of the ISPRS 2016 conference in Prague. The session focused on the need for more synergies of the various stakeholders on geospatial and land applications and services. During the one and a half hours session chaired by Stratos Stylianidis of GeoImaging Ltd and Hans Dufourmont of the European Environment Agency, five presentations took place putting emphasis on the added value of the combination, the synergies and complementarity of geolocation services and earth observation services. The participants had the opportunity to obtain information on promising technologies making use of geospatial data such as augmented reality, discuss the advances in mapping and SAR related applications possible through the EU Galileo and Copernicus open data policy and view success stories from complementarities of the two satellite systems for European citizens. 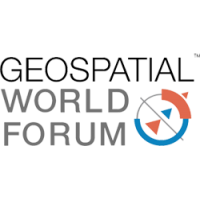 More information on the GALILEO and COPERNICUS, geospatial and land applications and services special session can be obtained through the ISPRS website. GeoImaging is listed again this year at the INTERGEO 2016 preview that will take place 11-13 October in Hamburg Germany. INTERGEO showcases the entire value creation chain in the geospatial industry sector under one roof – from data capture, technologies and processes right through to finished products, visual representations and solutions. 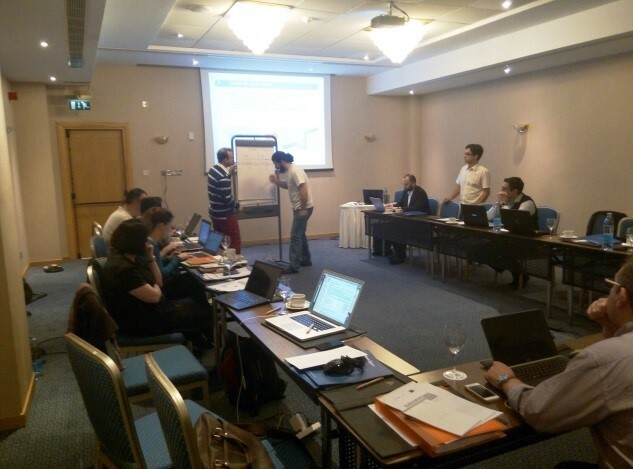 LARA project partners met in Limassol Cyprus on the 3rd and 4th of March 2016, to conduct their regular meeting which was combined with project evaluation for the first 12 project months. During the first day of the meeting on the 3rd of March the consortium reviewed progress and updated plans to launch the first operational system prototype. Moreover the current version of system (named LARA 0,5) integrating mostly hardware components was also put successfully into test proving a glimpse of the great potential the final system can have. 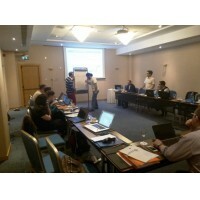 The second day of the meeting a holistic review of the project’s progress for the first 12 LARA months was made. Mr. Joaquín Reyes Gonzalez, market development technology officer of the European Global Navigation Satellite Systems Agency (GSA), had the opportunity to assess the progress of the project and provide useful recommendations on technical and commercial aspects of the LARA system. 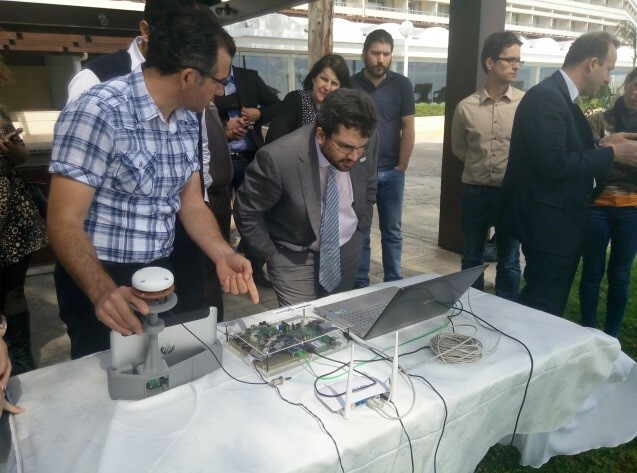 An outdoor demonstration of LARA 0,5 was held which allowed for a full evaluation of the current functionality of the system and confirmed the successful translation of system requirements, user expectations and architecture into a tangible and operational system. Follow LARA project and get real time updates on the development of this challenging system.